Welcome to Dentist of Mexico Directory. 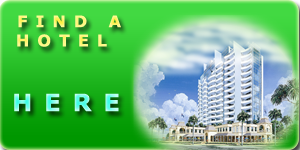 Your search engine for dental care in Mexico. 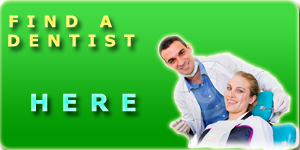 Welcome to Dentists of Mexico Directory Why pay more? Why do you have to pay deductible? Why do you have to wait for your dental needs? When you are paying double for the same dental work and or care. Thousands of Americans cross the border every year to obtain the same quality dental care available in the States, for up to 80% less. The Mexican Dentists have the same and in some cases better education, than their US counterparts. Many have even trained in USA Dental schools but prefer to practice in Mexico. In Mexico, there are stringent qualifications to maintain a dental practice. The strict cleanliness is not only a law, but a fundamental part of their education Do not be confused by the fact that in the USA there is more modern equipment or better health protection, in Mexico costs are less so the Mexican Dentists make more money than their counterparts in the USA, so they use their profit to better their clinic with more care and the best and most modern equipment. In Mexico malpractice could mean jail time not law suit, the punishment for health violations is more severe, and to keep a clinic clean and disease free is easier and cheaper so it is done more often and in some case twice as much. In Mexico you are a patient not a number, your USA insurance is honored and in most cases your deductible is absorbed by the clinic, so no money out of your pocket. Our directory will assist you in locating contacting and saving you time to make the right choice for your dental work. If you have any questions or complaints and you need answers, feel free to email us at webmaster@dentistofmexicodirectory.com and we will be happy to assist you. Need an Attorney that cares?